We know it can be a bit overwhelming and we want you to make the most of your Summit experience. So below you can find a few tips on how to prepare for the Summit. The I-COM Global Summit is bringing together industry leaders to inspire, connect and share ideas. Our advice to make the most out of it: Get involved. Don’t be shy and connect with other attendees. Nurture and expand your network. Approach our conference speakers and let them know your feedback - they will greatly appreciate it. At I-COM you will meet thought leaders who have the same interests as you, so be open to make new friends. 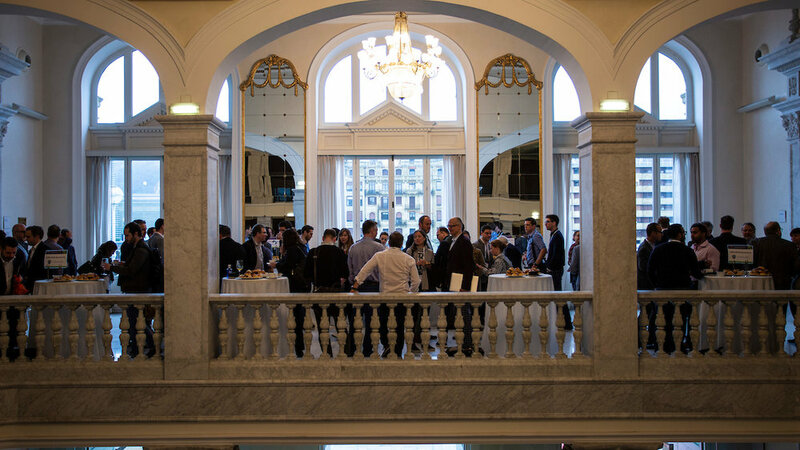 For even more networking opportunities make sure to check our Pre-Summit events including the Data Science Hackathons and other social activities to discover the city as well as our 3-day Post-Summit programme. Review the Programme and identify the elements you are interested in before choosing your Summit access on the registration page. Use our support webpages to book your travel and accommodation to make sure you get the fastest connection and the best deal for your hotel. Download the Summit App (coming soon), your dedicated and most up-to-date point of information and news during the I-COM Global Summit and Data Science Hackathons. I-COM Roundtables will be taking place on Monday afternoon. The registration for these Roundtables will be open soon. Get your Summit badge at Registration as soon as you arrive. Be sure to always carry your badge with you as it is required for admission to all sessions and events. You can also get a ‘newbie’ sticker for first time attendees on your badge at Registration. Join the Welcome Cocktail and Meet & Greet to network with your peers on Monday evening at the Conference Hotel. And don’t miss our Networking Breakfasts on Wednesday and Thursday morning. Are you presenting at the Conference on Wednesday or Thursday? Please see our Conference Speaker Guidelines for more details. All attendees will receive our digital programme book via email prior the Summit. The book will contain detailed programme, list of speakers and other useful information. Dress code: The dress code for the Summit is generally smart casual. However, for the Gala Dinner on May 14th, black tie is preferred, not obligatory. For the Dinner Tour on May 15th, the dress code is casual - make sure to bring comfortable footwear. Weather in Malaga: The average daytime high temperature soars to 24°C (75.2°F) and drops to an average low of 18°C (64.4°F). Night times remain cold with an average low of 11°C (51.8°F). Significant Others: We have created special activities for them whilst you attend the Summit. You can take a look at the full programme and register here. If you didn’t find an answer to your questions, complete the form below and we will get back to you. Thank you for your message. A member of the I-COM team will get back to you shortly.